Available in sizes 3" - 12"
*Venting Requirements: This unit requires venting pipe with an inner diameter of 9 Inches. Please see the Venting Components section on this page for venting pipe that must be used with this unit. This storm collar is made form 304 alloy, 18 gauge aluminum. The collar is part of a top termination configuration made for Home Saver Pro chimney liners. 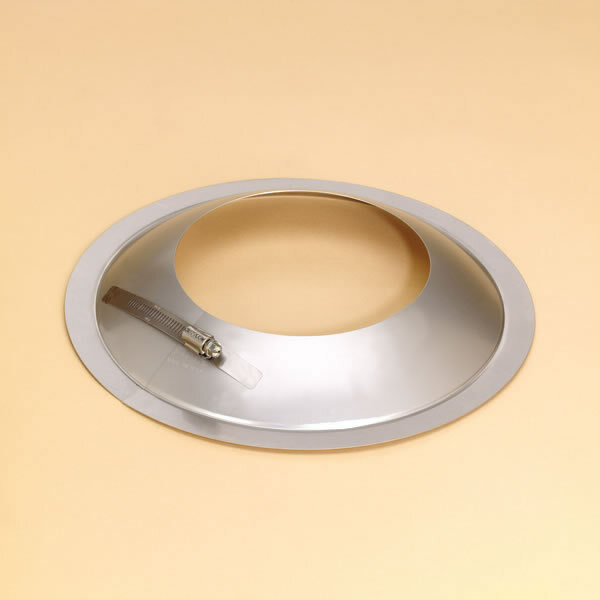 The storm collar is made by Home Saver Pro and is to be used with a top plate, a top clamp, and a cap that is to create a secure, protected cover for the top of your vent or chimney. The storm collar is available in various sizes.